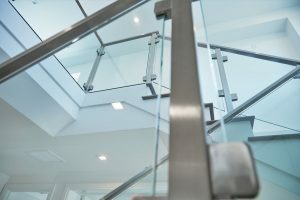 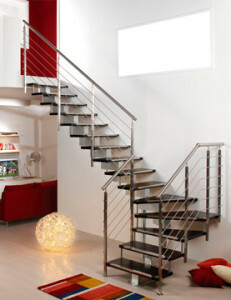 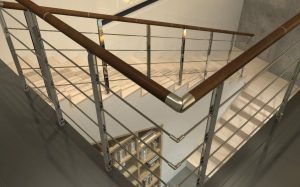 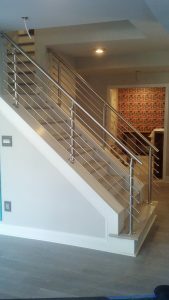 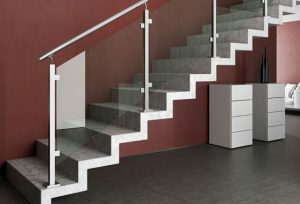 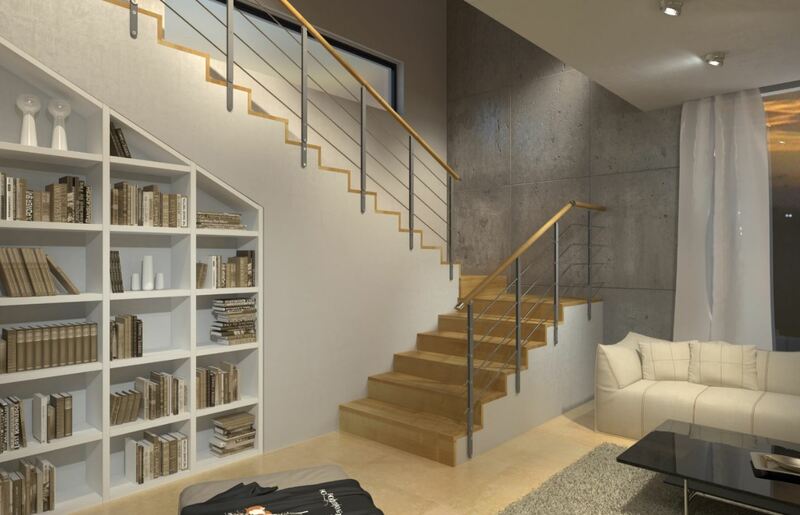 Modern staircase railing systems have become our most popular offering. 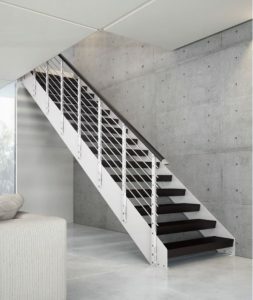 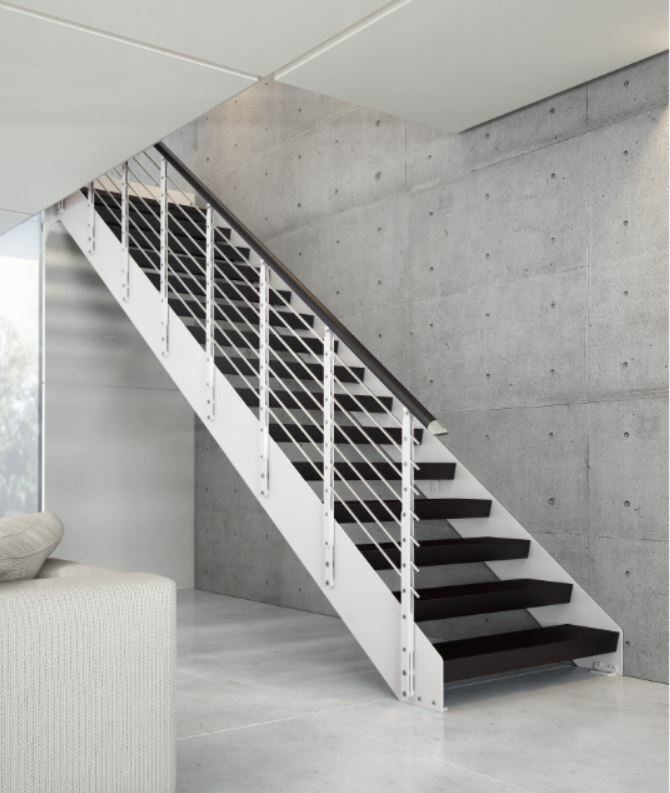 These unique styles transform staircases and staircase systems into ultra modern entryways that demand attention. 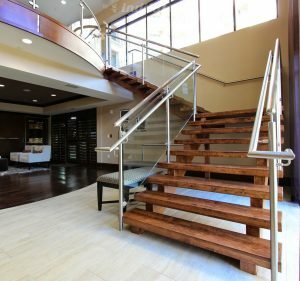 Combine these railing systems with any of our Modern Staircase Systems to create hundreds of truly awe-inspiring staircase design options. By far our best seller, this beautiful marriage of modern with natural woods is a jaw-dropper. 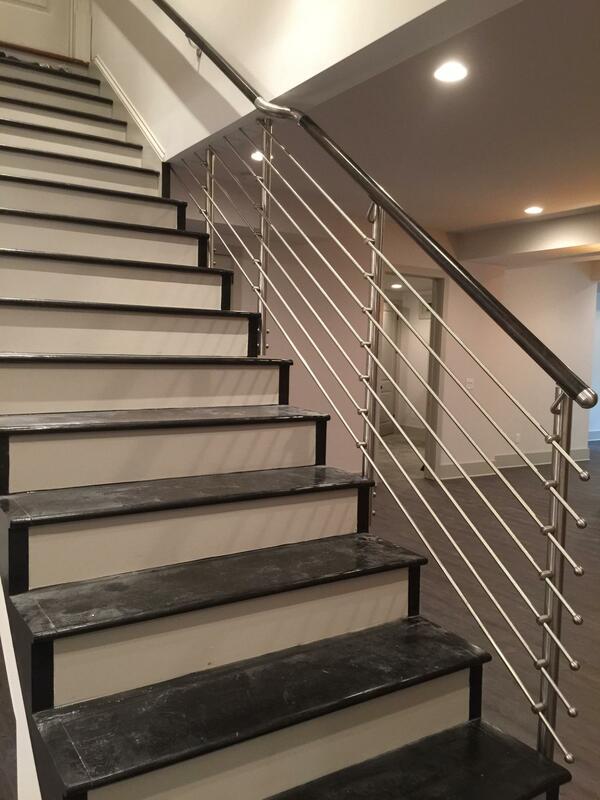 This railing upgrade is a masterpiece and a conversation starter in any corporate or modern residential environment. 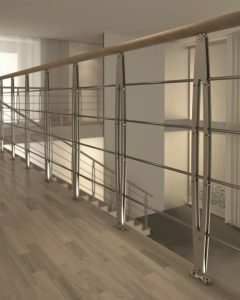 Clients and guests will be amazed at these gorgeous modern railing systems that last for years. We also offer a more industrial modern look with out cable-wire and stainless tube (Rod) systems. 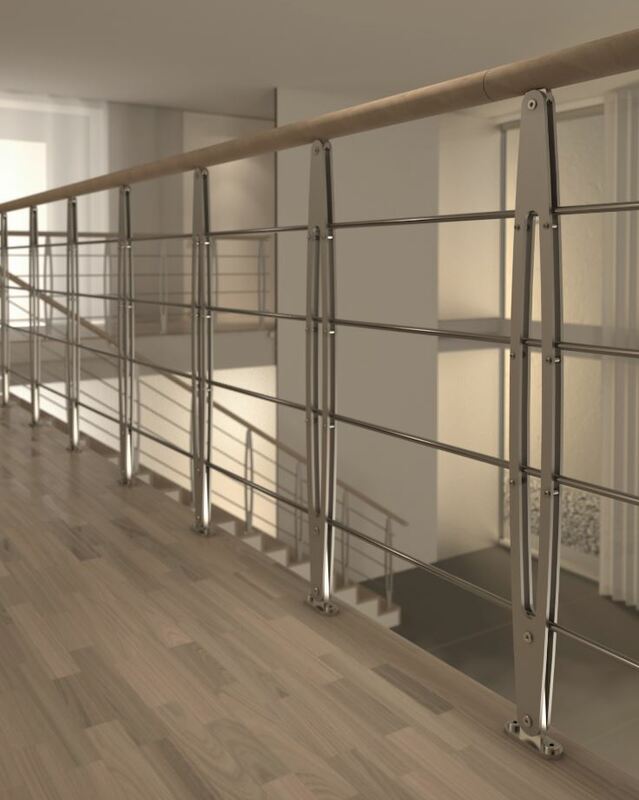 Specifically designed for corporate/business applications, this type of railing system can be used in a multitude of applications both interior and exterior. 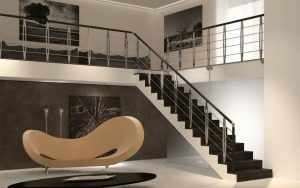 Modern elegance & strength that’s easy to install. 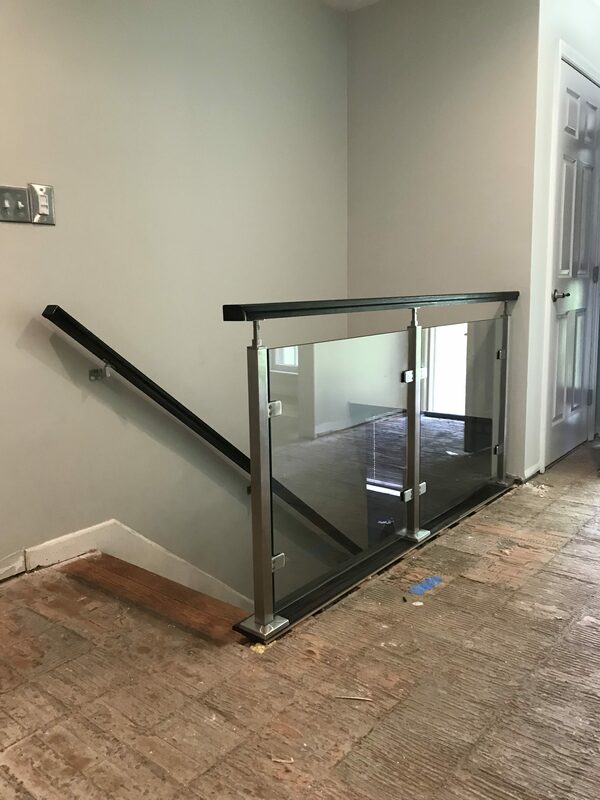 Our minimalist rail systems almost appear to defy the laws of physics. A true example of ultra-sleek yet durable function and form. These ultra-modern glass panel railing designs visually amaze and delight. 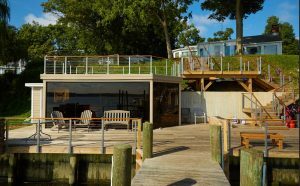 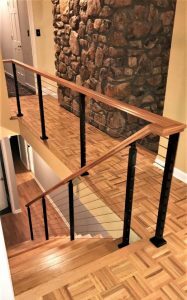 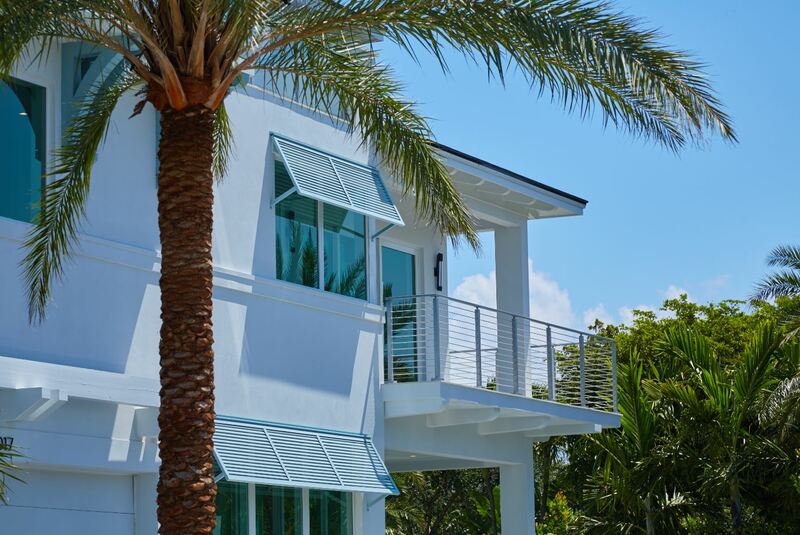 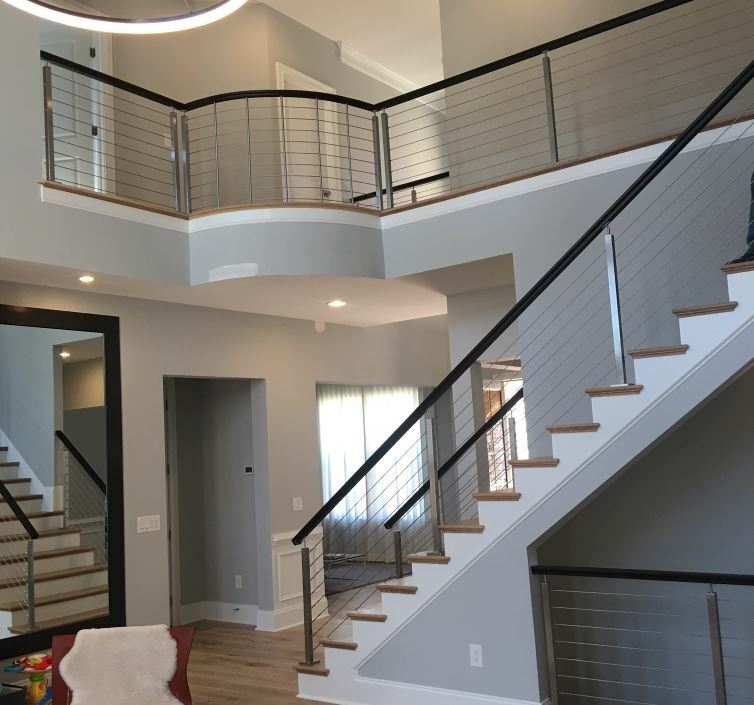 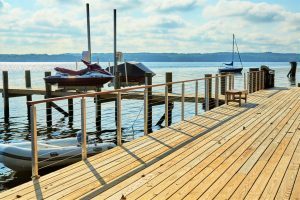 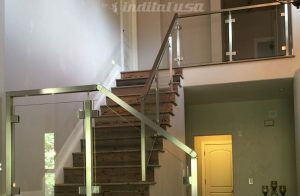 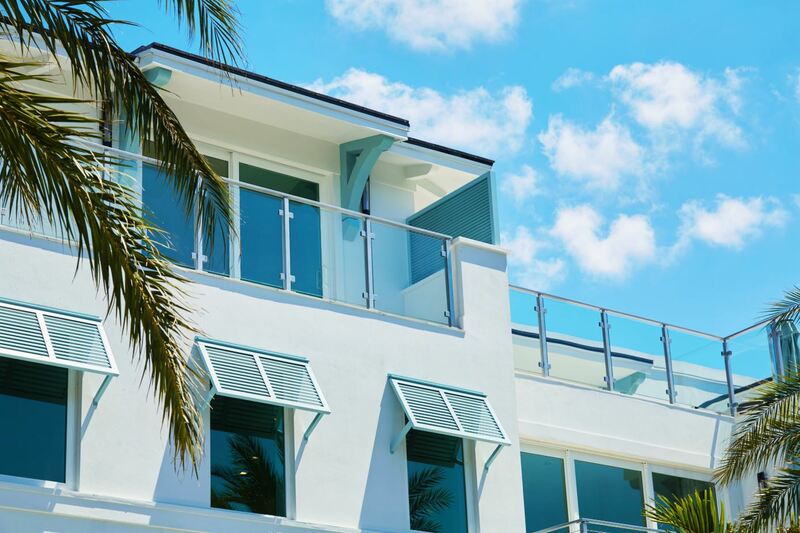 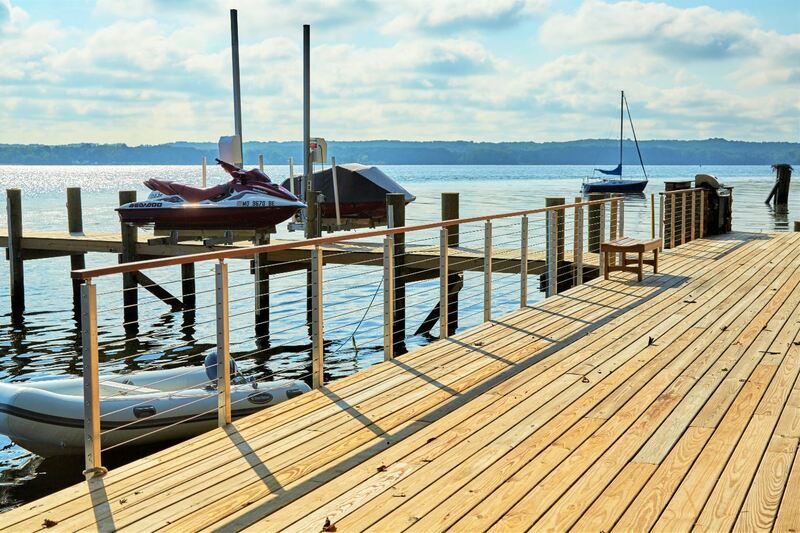 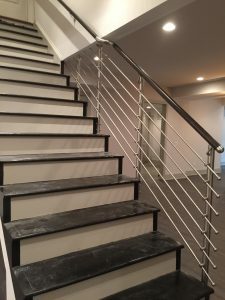 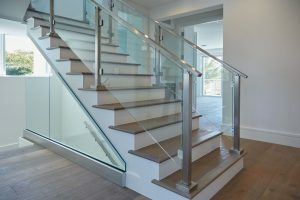 If wood panel or stainless railing systems don’t quite match the design tastes, we recommend considering one of our beautiful, safe, and durable glass panel railing systems.